The following recommended hotels are all in close proximity to the Arlington Municipal Airport. 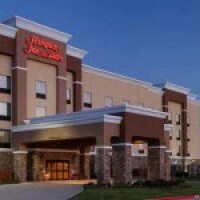 The Hampton Inn & Suites Arlington-South is the closest partner hotel to the APS training facility, located just 1-Mile North on Collins Street at the intersection of I-20. Hotel offers a complimentary full hot breakfast daily & a Manager’s Reception Tuesday/Wednesday nights with appetizers, beer, and wine. Hotel offers complimentary Shuttle Transportation to and from the local office, and within a 5-Mile radius during set hours. 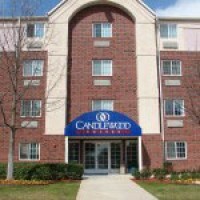 We have on-site laundry, business center, fitness center and outdoor pool and grill area. 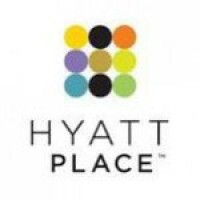 Welcome to one of the best hotels in the Lone Star State, the Hyatt Place Dallas/North Arlington/Grand Prairie. Our renowned hospitality is what Hyatt is all about, where incredible guestroom accommodations like free Wi-Fi and a 42” HDTV only begin to scratch the surface. Premier hotel situated in the heart of South Arlington and just 2.6 miles from the APS office. In House Bistro open for Breakfast & Dinner with a full bar in the evenings. Complimentary Shuttle Transportation to and from the local office, restaurants, shopping, etc . Keep up your fitness routine with our outdoor pool or with an invigorating work-out in our on-site fitness center. Premier hotel situated in the heart of South Arlington and just 2.6 miles from the APS office. Complimentary Hot Breakfast Buffet Daily & enjoy our Evening Reception Monday-Thursday nights with light appetizers, beer, wine & sodas. Complimentary Shuttle Transportation to and from the local office, restaurants, shopping, etc…Enjoy spacious hotel suites with full kitchens, separate areas for sleeping, dining & relaxing. Keep up your fitness routine with our indoor pool or with an invigorating work-out in our on-site fitness center. Perfect for out-of-town guests, the Residence Inn is conveniently located near APS & DFW International Airport. 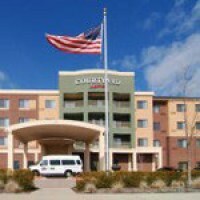 Candlewood Suites Arlington is an all-suite hotel located between Dallas / Fort Worth area, with easy access to the DFW International Airport (DFW) & APS Emergency Maneuver Training facility at the Arlington Municipal Airport. The hotel is nestled in the heart of the entertainment district of Arlington, Texas, which provides guests with an array of engaging activities. The hotel offers free Wi-Fi access throughout the hotel, free washer/dryer service, fully equipped kitchens, 24-hour business center, 24-hour fitness center onsite. We are apart of the IHG Rewards Club, earn your points or miles with every stay. Should you encounter any issues booking your stay please contact Jolene Panigot, Director of Sales,[email protected] or 817-649-3336 ex 462. 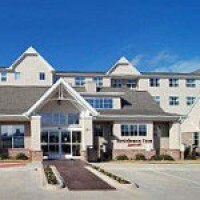 This all-suite hotel is centrally located between Dallas / Fort Worth International Airport (DFW) and our APS Emergency Maneuver Training facility at the Arlington Municipal Airport. They offer free Wi-Fi access throughout the hotel and 24-hour business center. Their quality amenities include a 24-hour fitness center, indoor heated pool, full-service restaurant, Star Bucks, and a complimentary airport shuttle. The La Quinta Inn & Suites Grand Prairie South features 100% non-smoking oversized rooms with 42 inch flat panel televisions, complimentary high-speed Internet access and more! Start the day with a hot and tasty complimentary Bright Side Breakfast, enjoy a workout in our 24-hour fitness center, then make waves in the outdoor swimming pool, or bubble away stress in the Jacuzzi. If you prefer, simply lounge in beautiful lobby area. Conveniently located near over 60 great restaurants and shopping like Paragon Outlets of Grand Prairie, Parks Mall and the Arlington Highlands. We also offer a Free Shuttle Transportation to APS, within a five mile radius of hotel, 7am-9pm daily. Please schedule shuttle service in advance to minimize wait times. Treat yourself to our complimentary breakfast and high-speed, wireless Internet access for a productive and unforgettable visit to the Dallas area.This property is equally ideal for corporate travelers seeking business-oriented amenities as well as quality and consistent service. All of Arlington’s major businesses are easily accessible, and you can travel to downtown Dallas for meetings with just a 20-minute drive. You can also host meetings here in the hotel’s event facilities. Hotel guests will appreciate the variety of nearby dining, shopping and entertainment options within walking distance including an AMC theater with big screens. Each spacious, well-appointed room features free high-speed Internet access, free long distance access and all the standard amenities that make guests feel at home, including cable satellite television, coffee/tea maker, iron and ironing board and hairdryer. Guests may select a room with a king size bed, whirlpool tub, refrigerator or microwave. Other hotel amenities include complimentary hot breakfast, fresh baked cookies daily, complimentary newspaper, heated outdoor swimming pool, spa, pet sitting services and meeting/banquet facilities.